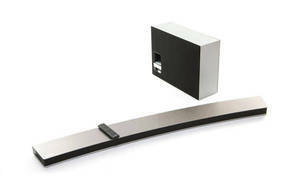 Snapshot: The Samsung HW-J7501R sound bar has bluetooth and a wireless subwoofer. But how good is the sound quality? Has bluetooth and a wireless subwoofer.